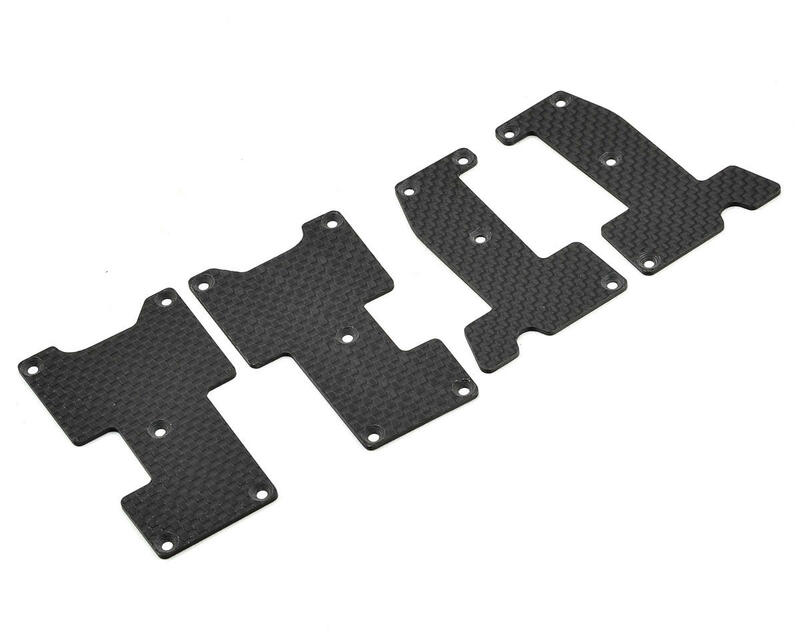 This is the optional Avid RC Hot Bodies D812 0.75mm Carbon Arm Insert Set. 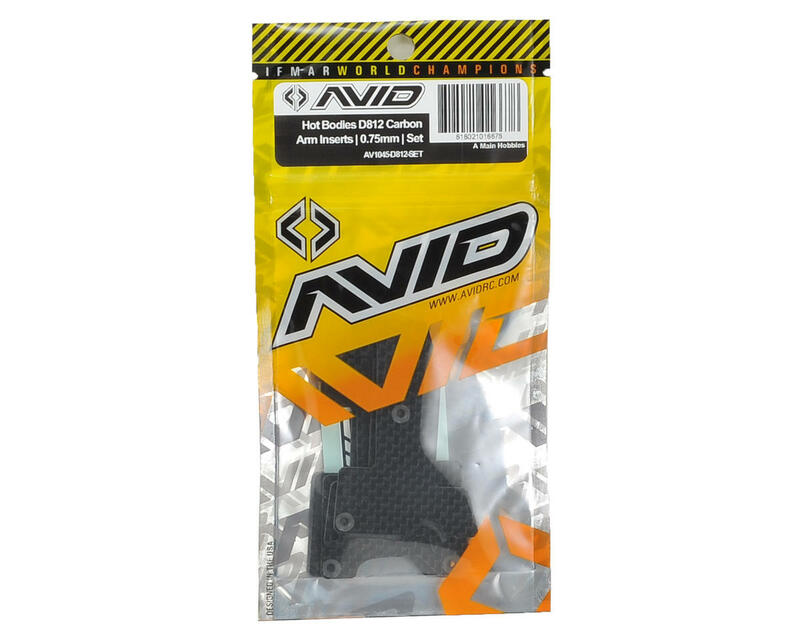 After extensive testing, the guys at Avid found what they feel is the best combination of stiffness and flex for the D812 arm inserts. Used as a tuning aid these pocketed inserts will greatly reduce arm flex and twist, making the car more responsive.